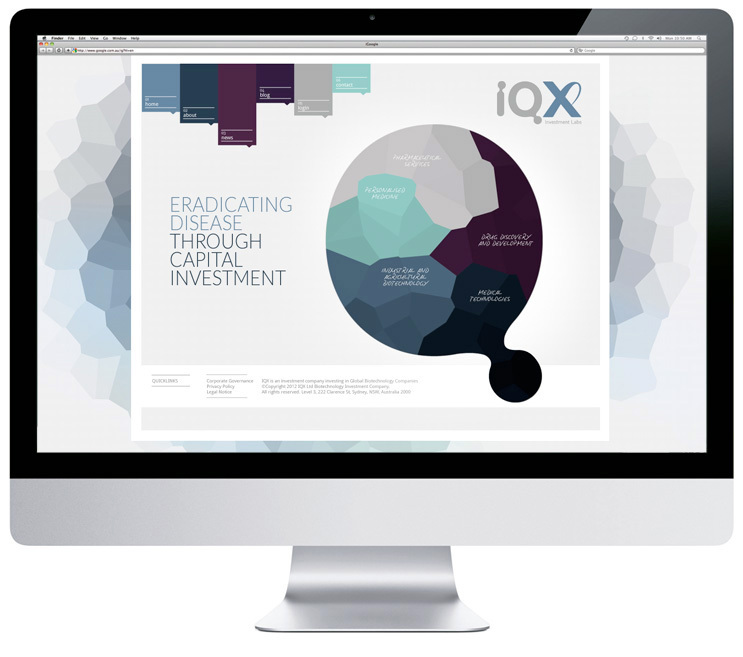 IQx is an investment company that supports physicians, scientists and entrepreneurs in the biotechnology markets. 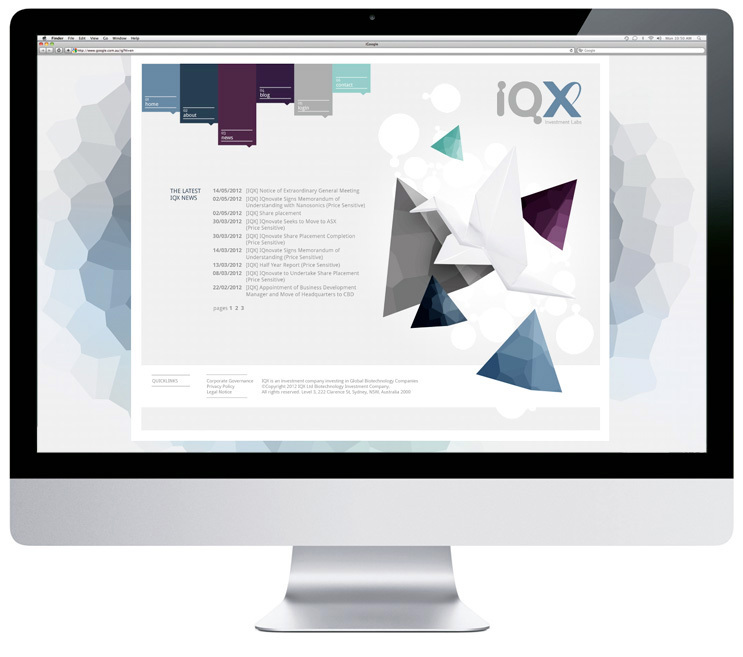 The brief was to create a corporate website with an ‘edge’ to attract Capital Investors in the scientific research arena. Our design needed to reflect the innovation, passion and boundary-pushing ethos of the company and its people. Simple white symbolic images coupled with coloured ‘cell-like’ shapes illustrate the company’s vision of a pure, disease-free future through Capital Investment in scientific research.